More Than Two Headaches For Three Weeks Can Be Harmful; Try These Natural Ways To Get Relief! Headaches are common; however, excess of anything can be bad. Experts reveal that prolonged headaches can be harmful and can be a sign of a potential medical problem. Headaches are common; however, excess of anything can be bad. 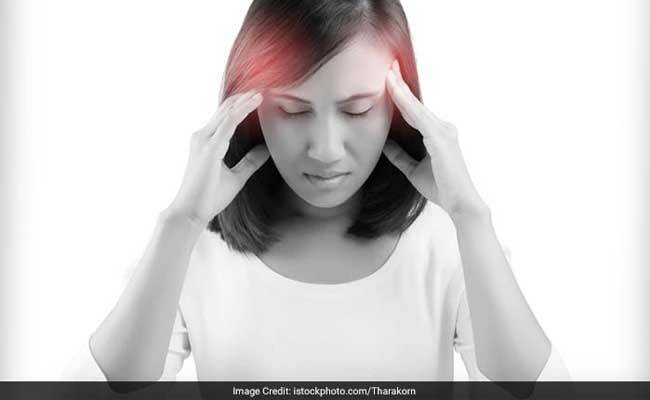 Experts reveal that prolonged headaches can be harmful and can be a sign of a potential medical problem. So popping in pain-killers is definitely not the solution, but to seek medical assistance. While headaches can be due to cold or flu, stress, eye-sight problems, dehydration and taking too many pain-killers, they can be also caused due to migraine and sinus. It can be treated only if diagnosed early; therefore it is important to consult a doctor if the headache persists for more than two times. While you may find it easy to pop in a pain-killer and get away with the pain, it is important to note that pain-killers can be extremely harmful in the long run. This is why we suggest some natural ways to end this pain at home. Here are some home remedies that might want to try out the next time you have a headache. Ginger is certainly the all-rounder you need. It is known as an instant reliever for headaches. It reduces inflammation of the blood vessels in the head, further easing the pain. Moreover, it stimulates digestion, quelling the nausea that occurs during conditions like migraine. All you need to do is mix ginger juice and lemon juice together and drink up along with lukewarm water. You can also apply ginger paste and water on your forehead for a few minutes for instant relief. Cinnamon is that miracle spice that can effectively treat headaches. All you need to do is grind some cinnamon sticks into a powder and add some water to make a thick paste. Apply it on your forehead and temples and lie down for about 30 minutes and then wash it off with lukewarm water. A strong scented herb, basil is used for natural headache treatment. Tulsi oil acts as a relaxant and helps get rid of headaches caused by tension and tight muscles. Dab a drop of thyme or rosemary essential oil on each temple and on your forehead. Rub gently into the skin and sit in a peaceful place for several minutes to let this home remedy work.